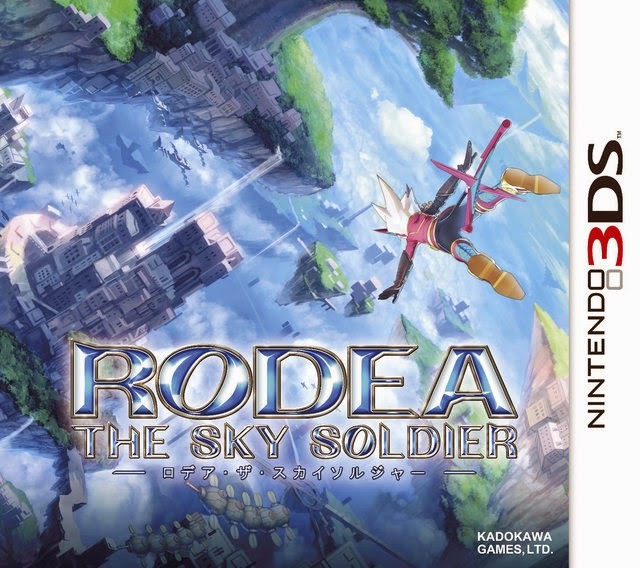 As much as I enjoyed playing through the handful of titles discussed in yesterday's "favorite games of 2014" post, I found the ones addressed below--some of which were released in 2013 and some of which were released long ago--to be far more adventurous, unique and exciting experiences. Attack of the Friday Monsters! 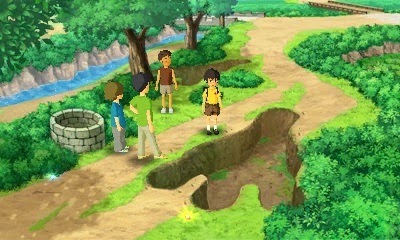 (3DS)--One part "summer vacation sim" and one part rock-paper-scissors card game, this Kaz Ayabe-designed eShop title is the kind of release that causes some people to proclaim it the best thing since sliced bread (or the gaming equivalent, at least) and others to deride it as boring tripe. Can you guess which side I lean toward? Actually, I wouldn't call Attack of the Friday Monsters! a masterpiece, but it certainly deserves praise for providing the medium with a thoughtful and heartwarming story and for prompting feelings of nostalgia where they have no right to exist. EarthBound (SNES)--Would you believe that I'd never "beaten" this classic RPG before this year? I'd played through bits and pieces of it before then, but none of those previous playthroughs got me even halfway through its story. I'm glad I finally got over that hurdle in 2014, as this is the rare digital adventure that somehow, someway gets more fascinating and thrilling with each and every step. 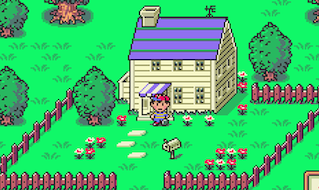 In fact, I loved the time I put into Shigesato Itoi's second foray into the world of video games in 2014 so much that I'm considering devoting a similar amount of energy to it this year. 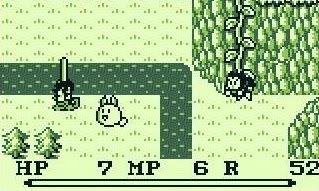 Final Fantasy Adventure (GameBoy)--Here's another game that I touched on as a teen but failed to complete until 2014. And just like the above-mentioned EarthBound, once I finally sunk my teeth into this portable endeavor I couldn't help but kick myself for not making my way through it earlier. Of course, it's kind of hard to believe I didn't make my way through it earlier, as it's basically a GameBoy-based precursor to Secret of Mana (which means it's equal parts Final Fantasy and The Legend of Zelda), a game that I all but offered my soul to in the early 1990s. Sadly, I still haven't seen Final Fantasy Adventure's credit roll, but I'm going to do my best to rectify that in 2015. The Legend of Zelda: A Link Between Worlds (3DS)--Speaking of games that have prompted me to kick myself in 2014, a good part of me wishes I could go back in time and purchase A Link Between Worlds earlier than I did, as it really should have been among my "favorite games of 2013 (that were released in 2013)." Oh, well, better later than never, right? Anyway, A Link Between Worlds is the best, most refreshing Zelda offering I've encountered since I first obsessed over Ocarina of Time back in 1998. The highlight of this tightly produced package, in the opinion of yours truly: the combat, which feels so good that it's easy to forget you're nudging a circle pad and pressing buttons rather than actually racing around and swinging a sword with all of your might. Slime MoriMori Dragon Quest 3 (3DS)--Considering how much I loved (more like frothed at the mouth over) Slime MoriMori Dragon Quest 2, aka Dragon Quest Heroes: Rocket Slime, it's almost unfathomable that I waited until just a few weeks ago to begin its 3DS-focused follow-up. That inexcusable feet-dragging can be blamed, at least in part, on this game's not-so-appealing aesthetics, although now that I've gotten used to them I can say without hesitation that they're less atrocious than they first appear to be. 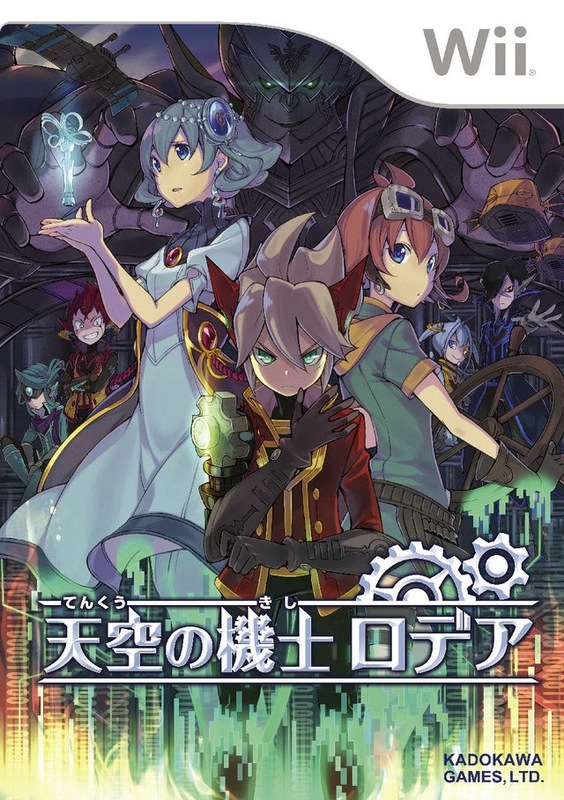 There are other flaws worth mentioning here, too, such as how Slime MoriMori 3's gameplay is nearly a mirror image of its predecessor, but none of them really matter thanks to the fact that the overall enterprise is just as fun as Square Enix's earlier effort. 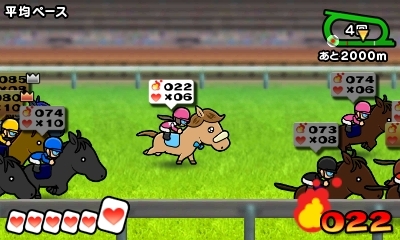 Solitiba (3DS)--When I first heard that this Game Freak-developed eShop title would combine horse racing and solitaire, I was more than a bit disappointed. Granted, I was glad it wasn't going to be yet another Pokémon sequel or spin-off, but I wasn't sure this confounding mash-up would be a whole lot better. Boy, was I wrong. Every single element of Solitiba is so spot-on that the entire endeavor winds up being thoroughly entrancing. In fact, I've had a hard time putting it aside for other games since I started playing it a number of months ago--which goes a long way toward explaining how I could've put nearly 60 hours into it in such a short period of time. Sweet Fuse: At Your Side (PSP)--To be honest, even after being convinced (by the overwhelmingly positive word of mouth attached to it) to pick up a copy of this portable visual novel, I wasn't at all sure I'd like it. My only prior experience with the genre involved playing through another PSP title, Hakuōki: Demon of the Fleeting Blossom, and while I found that game to be surprisingly fascinating, I worried it would be difficult to replicate those feelings with this seemingly less serious counterpart. I needn't have fretted, of course, because Sweet Fuse is every bit as captivating as Hakuōki, if not more so. I'm still not a fan of how such games basically force players to use a walkthrough if they want to wind up with the men of their dreams, but even with that "requirement" in place Sweet Fuse is well worth a look if you find its premise at all intriguing. If we're going to be honest here (and why wouldn't we be? ), I'm far from the ideal person to write a post such as this. Unlike a lot of folks, I'm not all that interested in the "next gen" consoles (as opposed to handhelds) that tend to dominate online gaming discussions these days, plus I spend at least half of my annual games budget on retro titles and systems. Still, I've played through good number of games this year, so I'm publishing a pair of posts that focus on the handful I've enjoyed the most. Today's post covers titles that actually were released in 2014, while tomorrow's will cover those that were released earlier. One thing to keep in mind as you review this particular write-up: I played zero Vita games this year--because I still don't own a Vita system, although I can guarantee that will change shortly--and I failed to play a number of highly acclaimed 3DS games that hit the streets in in the last 12 months, including Kirby: Triple Deluxe, Persona Q, Professor Layton vs. Phoenix Wright: Ace Attorney and Shovel Knight (although all of these take up space on my lengthy "wish list"). Bravely Default--This Square Enix-made stunner, released early in the year in my neck of the woods, ably straddles the line between being an old-school RPG and a next-gen one. 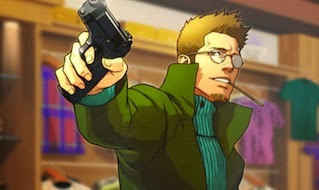 On the old-school side of things, there are the random, turn-based battles and the chibi character designs that harken back to the 8-bit and 16-bit Final Fantasy titles (as well as The 4 Heroes of Light spin-off, of course), while on the next-gen side there are the bevy of combat options (one of which allows players to avoid enemy encounters or otherwise alter how often they pop up), the online and multiplayer components and the surprisingly well implemented use of augmented reality. 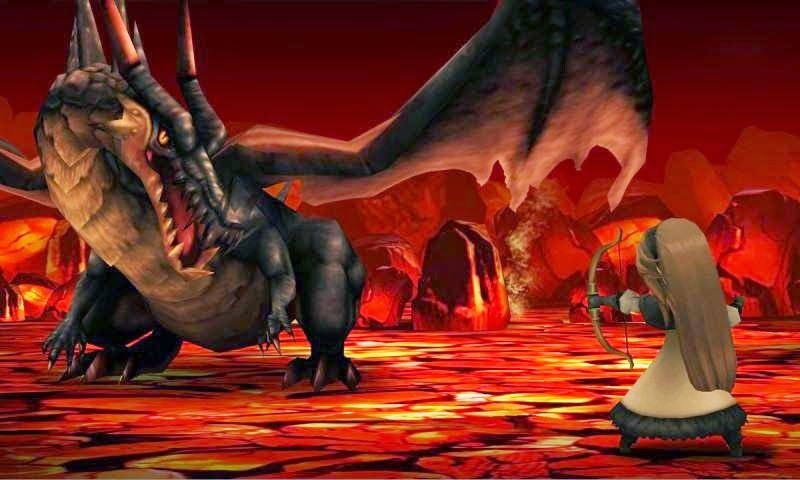 If you've read anything about Bravely Default, you're likely already aware of the fact that the second half of the game's story is a bit controversial (to put it mildly), and while it unquestionably deserves the criticism, I have to say that, for me, most of the related annoyance was forgotten following the final battle, the credit roll and what came after that--to the point that I'm pretty sure I'll willingly put myself through it all again (maybe more than once) in the not-so-distant future. Fantasy Life--I don't know about you, but I've long been one of those gamers who want to wander off the beaten path in an RPG while in the shoes of something other than a sword-wielding warrior. Specifically, I've wanted to boot up a role-playing game that let me spend time as a shop owner or a weapon maker or even an inn keeper. 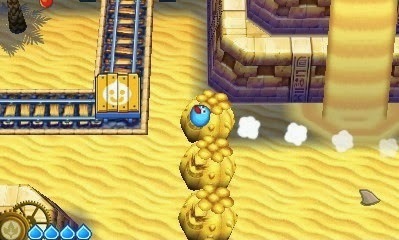 Fantasy Life promises some of that and more--to an extent. 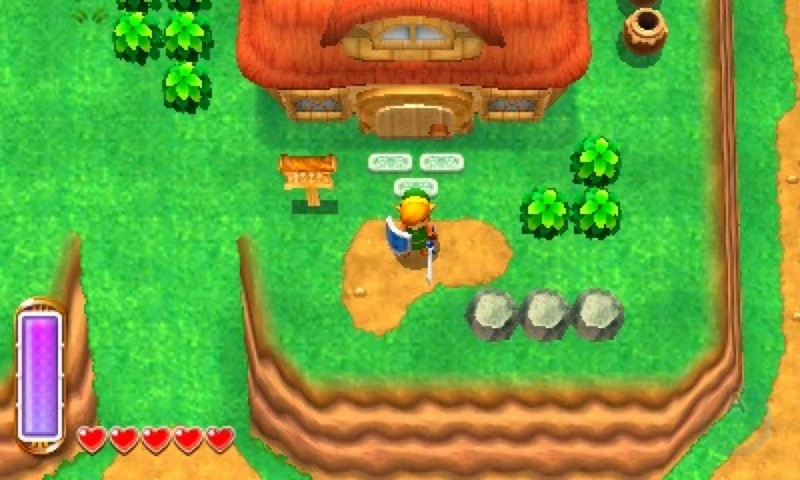 On offer in this 3DS title are 12 different "lives" (jobs, basically) that allow players to act as miners, woodcutters, blacksmiths and cooks. As I'm sure you can imagine, some of these professions are more engaging than others. For me, angler, miner and woodcutter have proven to be the most fun so far, although I've also enjoyed the time I've spent as a blacksmith and carpenter--despite the fact that the latter pair's focus on repetitive and too-similar mini-games is sure to get on the nerves of some gamers. That's one area I hope is improved upon should a sequel ever see the light of day. 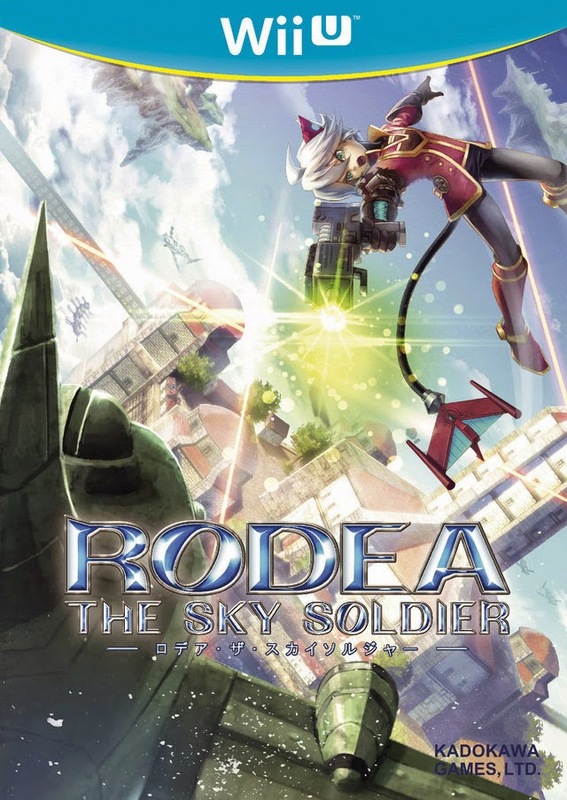 Other than that, there isn't much wrong with the current iteration, as its art style is the stuff of childhood dreams, its gameplay is more entertaining than it has any right to be and its soundtrack ties all of the above together before topping it with a pretty bow. Tomodachi Life--Following its Japanese release in 2013, the word on the Internet was that Tomodachi Life was a shockingly alluring mixture of Animal Crossing and The Sims. Although those folks were right on the money in attaching Electronic Arts' life-sim series to this similarly themed 3DS release, they were pretty far off the mark in adding Nintendo's animal-packed fave. That's because Tomodachi Life is all about populating an island-locked apartment building with family members, friends, celebrities and more and then watching them get into all sorts of wacky situations. The experience is more interactive than that description makes it sound, thankfully, but it has to be said that interactivity isn't the name of the game (pun intended) here. No, the point of Tomodachi Life is to revel in the hilarity of it all--and mark my words, it's often pretty darn hilarious (or at least that was my impression during the 100-plus hours I spent with it this past year). Woah Dave!--It's pretty telling that this 3DS eShop game (iOS, Mac and PC versions also are available, and PS4 and Vita versions are on the way) has been available for just a couple of months and yet it still managed to make this list. Given my nearly lifelong love of simple, pick-up-and-play titles like Bubble Bobble, Donkey Kong and Ms. Pac-Man, though, I guess its inclusion here shouldn't be too shocking. 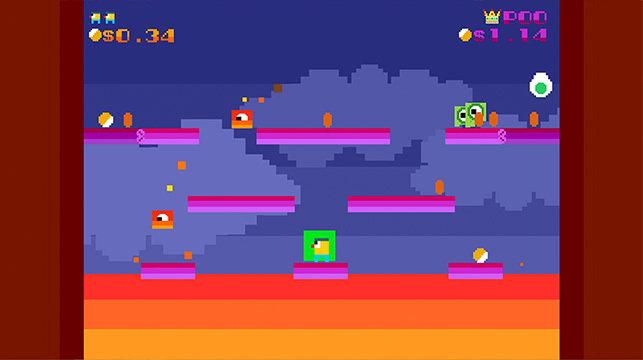 Speaking of the afore-menitoned games, the developers responsible for Woah Dave! looked past them and toward Nintendo's original Mario Bros. for inspiration instead, which was a pretty genius move, in my humble opinion. After all, that sewer-centric platformer has been begging for some sort of modernist update for ages now. My only issue with this otherwise-enthralling affair: the titular Dave and his abstract adversaries are nowhere near as appealing as Mario, Luigi and their quarter-munching co-stars. Thankfully, you probably won't even notice, as if you're anything like me you'll be too busy scurrying about in an attempt to stay alive and nab as many coins as you can while you're at it to notice the humdrum character designs. I know, I know. The "Year of the GameBoy" posts are coming fast and furious now. Sorry about that. 2014's almost over, though, and I really want to fit as many "Year of the GameBoy" write-ups into it as possible. Hence my last handful of posts. At least this particular post isn't about a GameBoy game--although I'm not sure those of you who aren't fans of Nintendo's iconic-yet-bricklike handheld will enjoy a post about the system (as well as its Japanese packaging and instruction manual) any more than you'd enjoy a post about one of its games. It's kind of hard to hate a post that includes photos like the one above, though, right? I mean, just look at that awesome packaging. Also, it includes text that alerts passersby to the fact that this system is a "Handy Game Machine." No wonder Nintendo sold a billion of these suckers in the 14-plus years they were on the market. Here (above) is another shot of the Japanese GameBoy's packaging (and of the system itself). Sorry for the varying quality of the photos included in this post, by the way. They were taken on three different days, and each day offered up different lighting scenarios. Anyway, the shot above showcases the Japanese GameBoy's oh-so-1990s instruction manual. And because it's a Japanese manual that was produced before, say, the year 2000, it features a number of completely adorable illustrations, such as the ones below. The back of the GameBoy's Japanese instruction manual can be seen below. I like the design that runs along its edge. I also like that this GameBoy's original owner seemingly acquired it early in 1991. The backside of the GameBoy's Japanese packaging isn't as thrilling as its front, but that's OK with me. At least it reminds viewers of the rechargeable battery pack Nintendo used to sell for its first handheld. I've always found its design to be appealing, for whatever reason. I bought the GameBoy shown throughout this post early in the year, by the way, and only paid about $65 for it, if memory serves. Even better: its screen is in immaculate condition, with absolutely no dead pixels (he says as he furiously knocks on wood)--something that can't be said about the last GameBoy I bought.